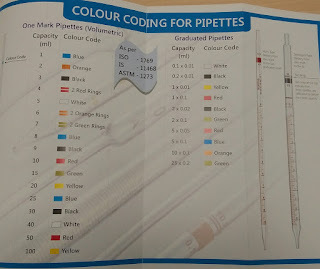 Every one in labs use glass pipettes for measurement but have you ever noticed different colour bands on the top of of pipettes (Blue, black, yellow, green, orange). 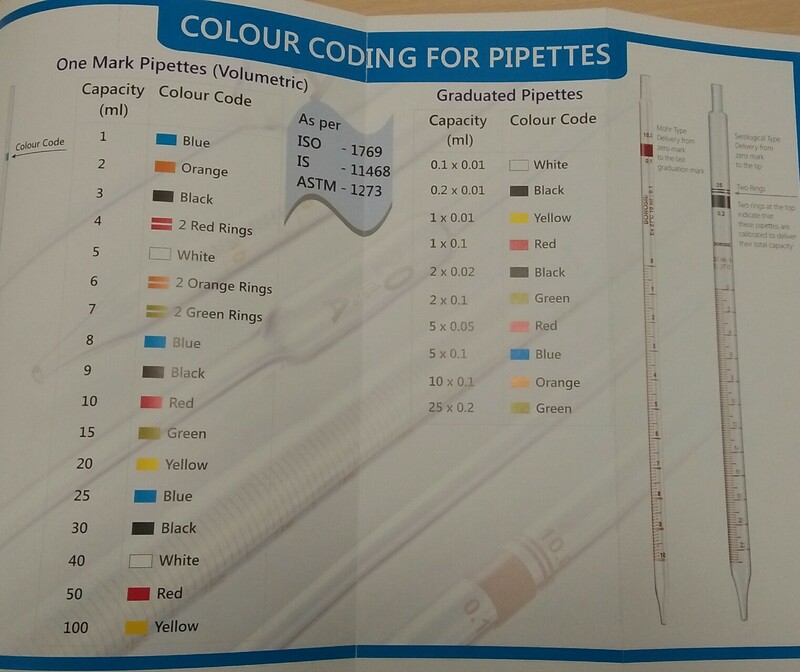 if we check 1 ml bulb pipette there will be blue colour band but on 1 ml graduate pipettes there will be yellow colour band as per guidelines (ISO-1769, IS-11468, ASTM-1273) similarly 4ml bulb pipette have two red rings. while fogging is a safer option than the former. the negative side effects of fumigation. requirement of de-fumigation in that area too. decompose with water and nascent oxygen. as the personnel handling equipment safe.